The Harbers Storytelling Project is a collaboration between The Nantucket Project and Harbers Studios. Bringing together some of the world’s best speakers and filmmakers, we follow the creative process from ideas to talks to films. Inspired by Billy Collins’ reading of The Lanyard, his poem about the debt we owe our mothers, Academy Award® winning director Megan Mylan tells the story of Masami Hayata, a Tokyo man delicately balancing his roles as advertising executive, father, husband, devoted son and caregiver to his ailing mother. A woman struggles to hold it together on her birthday. Facing painful realities is difficult. Learning to accept them is often more difficult. In this powerful film, directed by Mick Davie, we hear the stories of real people struggling to embrace what author Kelly Corrigan calls the Mount Everest of human emotions. Acceptance. What is Bitcoin and what does it have to do with the future of money, science, politics and art? Our 3-minute animated film, inspired by a talk at The 2014 Nantucket Project and produced by WONDROS in Los Angeles, explains the basics of this revolutionary technology and what it might mean for our future. YouTube pioneer, social media entrepreneur and guerrilla filmmaker Casey Neistat is an unlikely superstar. His most famous films document DIY vandalism, an advertising budget spent traveling the world, and an afternoon of snowboarding in New York City. We fell in love with Casey and asked him to make a movie about storytelling. He said OK, and then did exactly what he wanted. The result is classic Casey: authentic, funny, irreverent, poignant, and inspiring. Campaign finance activist Larry Lessig says our electoral system is rigged. Only a handful of Americans control who gets elected because they control, via Super PACs, who gets nominated. 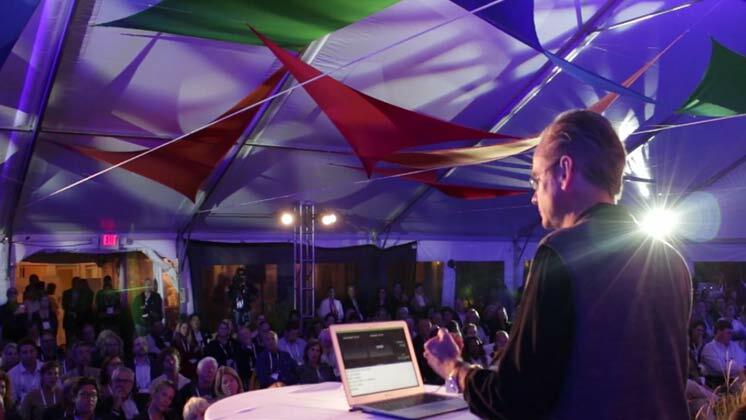 In this insightful film, Lessig suggests we put the money in different hands. Our own.